*Disclaimer- Many of the photos shown in the article do not belong to me. To find the source and check out more of their awesome material, click on the picture. 2. Use books to create the illusion of height and depth on a flat surface. 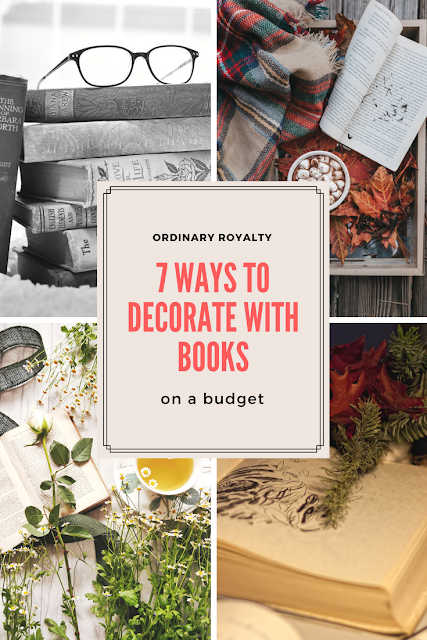 If all of your items are on one level, it begins to look more like clutter than decor, and books are the perfect solution. 3. 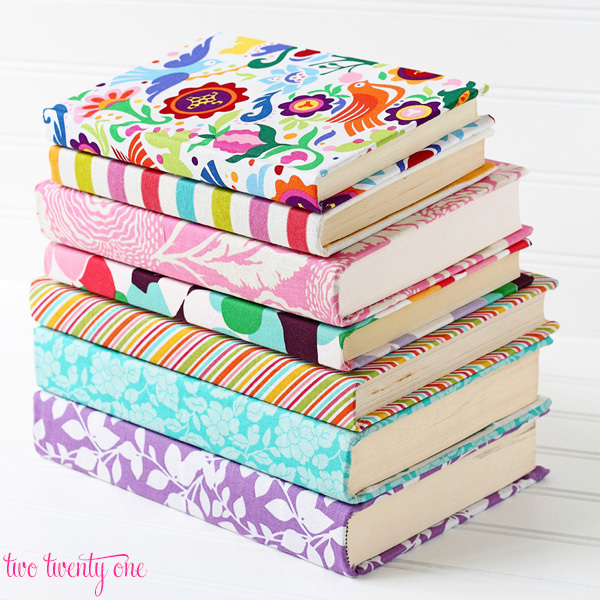 Cover books to make them uniform or funky! Don't let ugly covers stop you from digging through 25 cent bin at the next garage sale. Any hardback will do! 4. Make them into something else! You can think of books like Legos. They can be made into anything if you have enough of them. A Christmas tree? A table? The possibilities are endless! 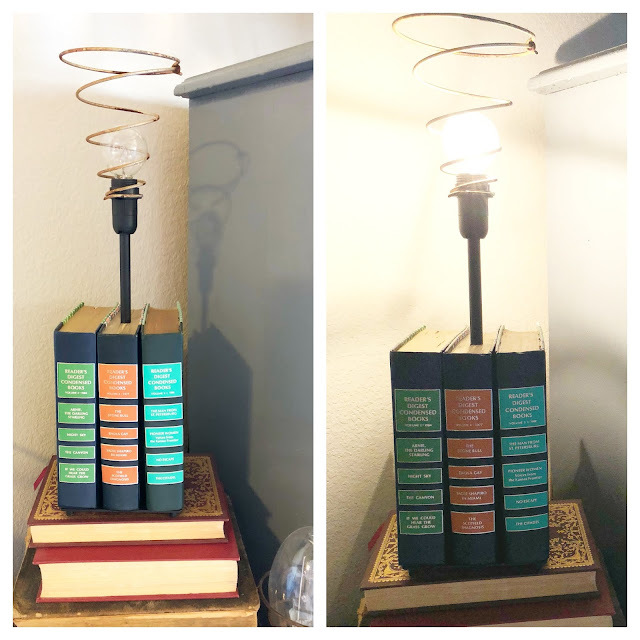 I made this lamp recently for less than $10! Click on the picture to find out how I made this lamp on a very small budget! 5. Hang them on the wall! You heard me right! 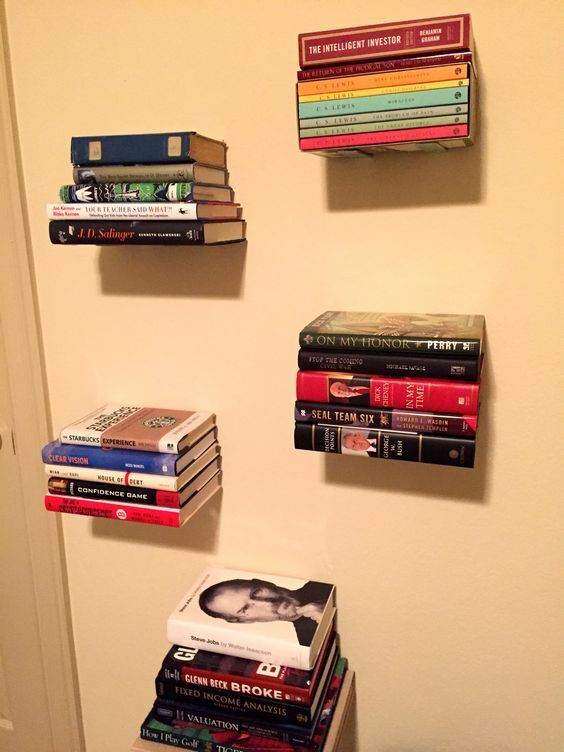 You can hang them directly on the wall for some homey flair or make literal floating book shelves! 6. Use the pages. 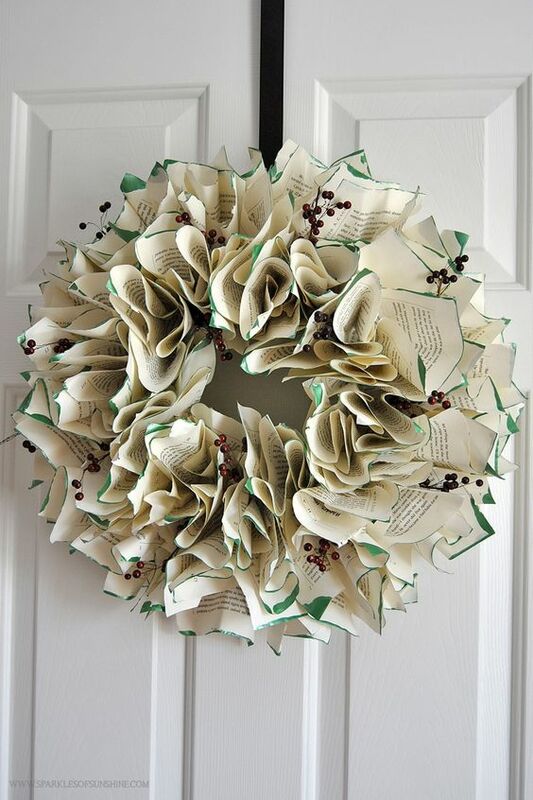 There are hundreds of ways to use book pages to create something beautiful! 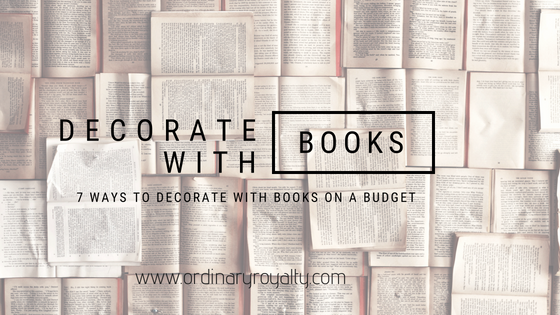 From lampshades to wreaths and rolled pages to decoupaging on furniture, you can use any old, sad book with damage for these kind of projects. 7. Make some letters! 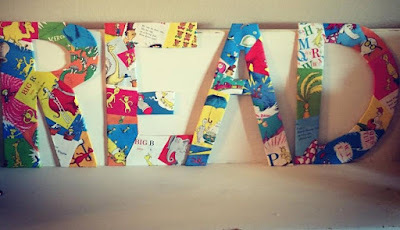 There are tons of ways to use books to make letters and these are two of my favorites. The top letters I made from water damaged Dr. Seuss book pages and cardboard for my classroom. I've attempted to make letters like the bottom set and failed (so far). Another way to turn books into letters will be coming soon in a new tutorial! Stay tuned! 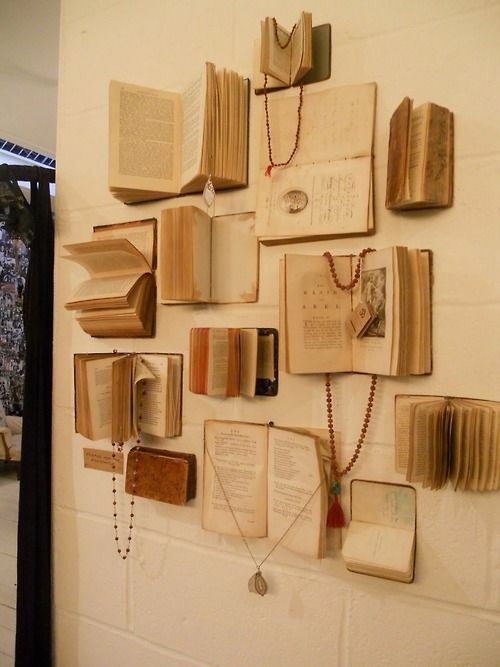 What are some ways you decorate with books? 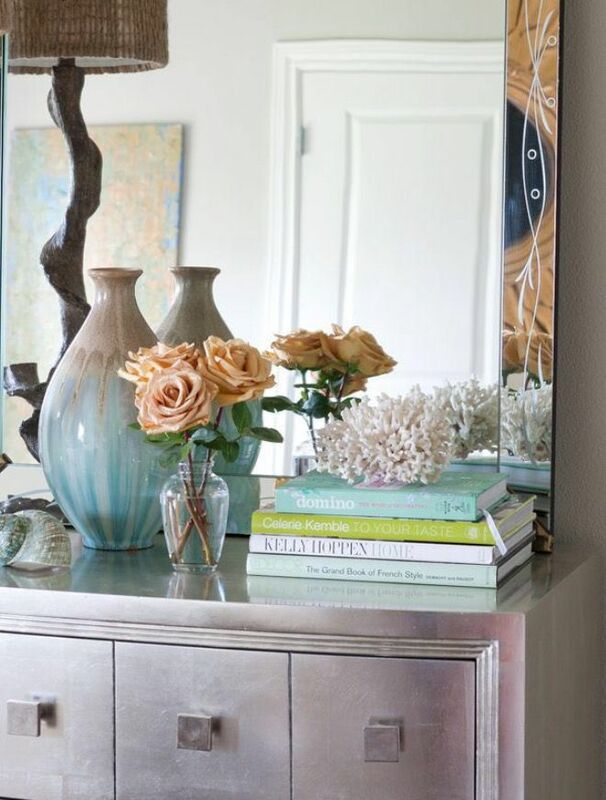 Are they cluttered chaos or delicate decor in your home? Drop a link if you have written about a book DIY project so we can follow and get to know you! I used to work in a library, and they created round Christmas trees out of books they no longer wanted. Oh my goodness! 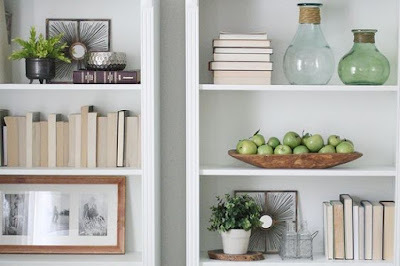 I love books and I love decorating without spending bunch of money so this post made me so happy. I will try out the Christmas tree idea when December rolls around. 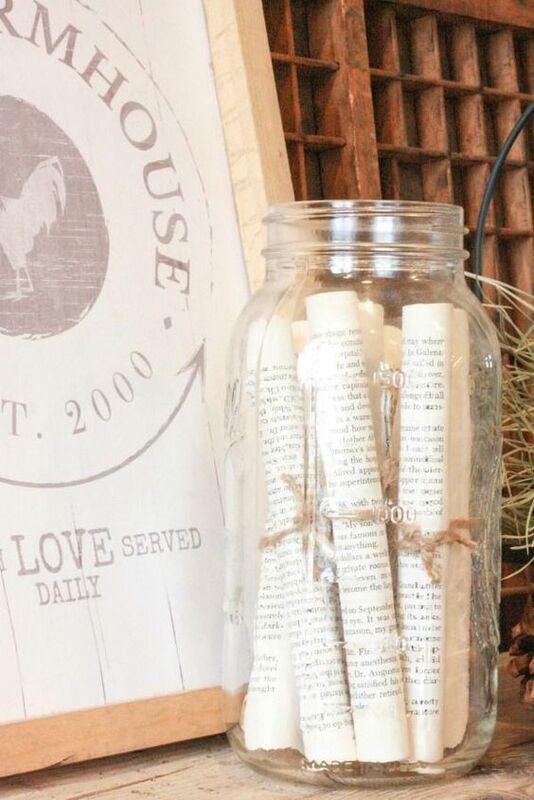 And I also love the idea of pages rolled up in a jar! Thank you for sharing these ideas! I really love this! I use books in my own home office to add to the decor of the room. Something about books just adds so much character to a space. 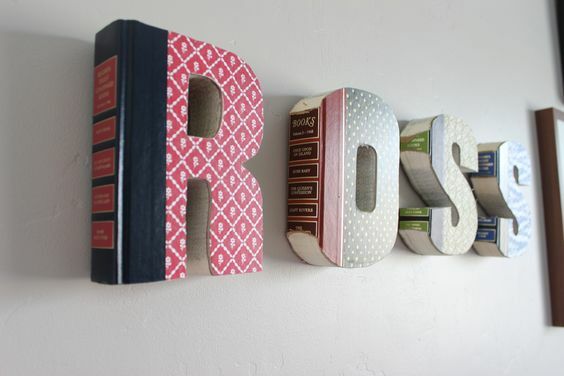 Such a great way to re-purpose stuff you already have and save money on decorating!